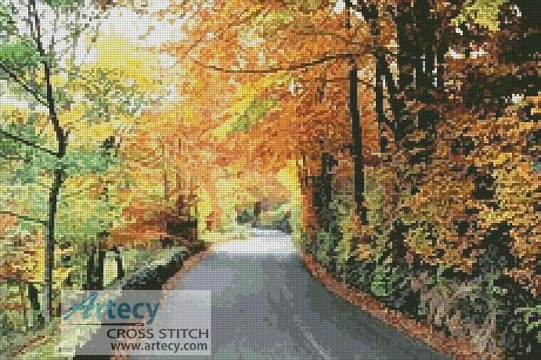 Reviews: Autumn Road Cross Stitch Pattern to print online. While showing some of my framed cross stitch art to my brother, he did a double take when I pointed out my stitching of this pattern. He said he had viewed it numerous times and thought it was actually an enlarged print of a photo. Great work Artecy.